This week we received our much anticipated personalised cushions from All Things Deco! All Things Deco (ATD) is an online boutique that retails unique decorative items for the home and office, including these gorgeous two tone and velvety checkered name cushions. The "Velvety Checkered by ATD" collection (SG$26.90 to 33.80) is the latest addition to the range of cushions available from ATD. 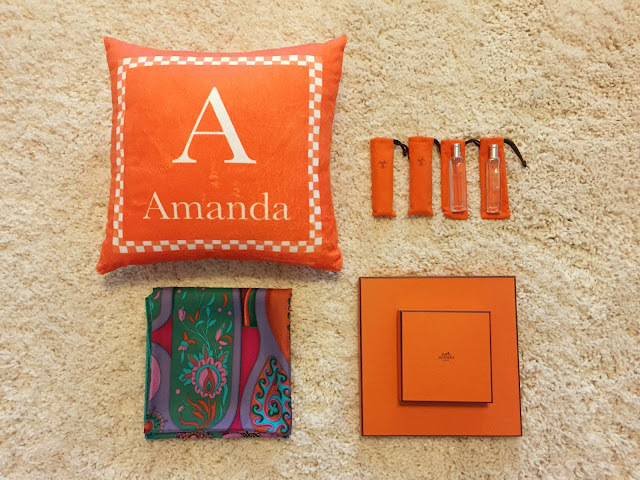 The cushions are sure to add a splash of colour to the room, and come in four shades: flamingo (a bright pink), midnight (a dark blue), iris (a deep purple) and tangerine (a cheery orange). True to its name, the velvety checkered cushion is super soft and velvety to touch, perfect for snuggling up with in front of the televsion or while enjoying a good book. I like mine so much that I'm planning to order a matching one as a gift for the hubby! My top tip: While the ability to personalise these cushions make them a wonderful gift idea, make sure you place your order early as they can take 2 to 4 weeks to ship. Having just come back from my trip away, I was extremely excited to find my cushion from ATD waiting for me at the office (and marginally less excited about the 800+ email I had to reply to and file away...)! Anticipating adding my bright yellow personalised cushion to my dark navy sofabed made the mountain of work I had to wade through during the day more bearable - and ATD did not disappoint! The material is exactly as they described, with a soft, satin finish that is comfortable enough to hold or lean against, and also to sleep on. The reason I chose yellow was because I have always longed for something to make my dark sofa pop, and nothing could have done better than this two-toned sunshine yellow cushion. Having said that, the other three colours (Emerald Green, Royal Purple, and Hot Pink) would have also looked lovely. #messyhairdontcare when you wake up on a pillow as soft as this! 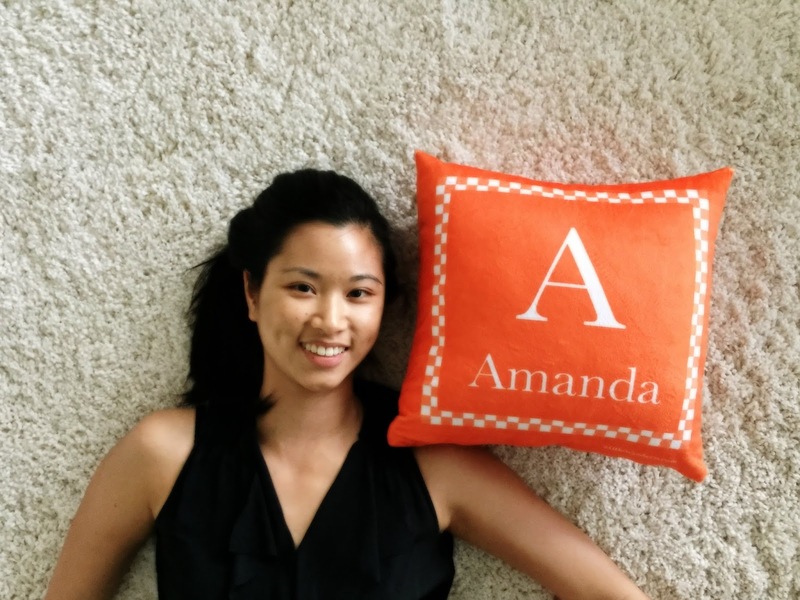 And guess what Hong Kongers: ATD launched in Hong Kong on 1 July this year, and we're sure they're going to be a huge hit, so grab your mitts on these personalised pillows early! 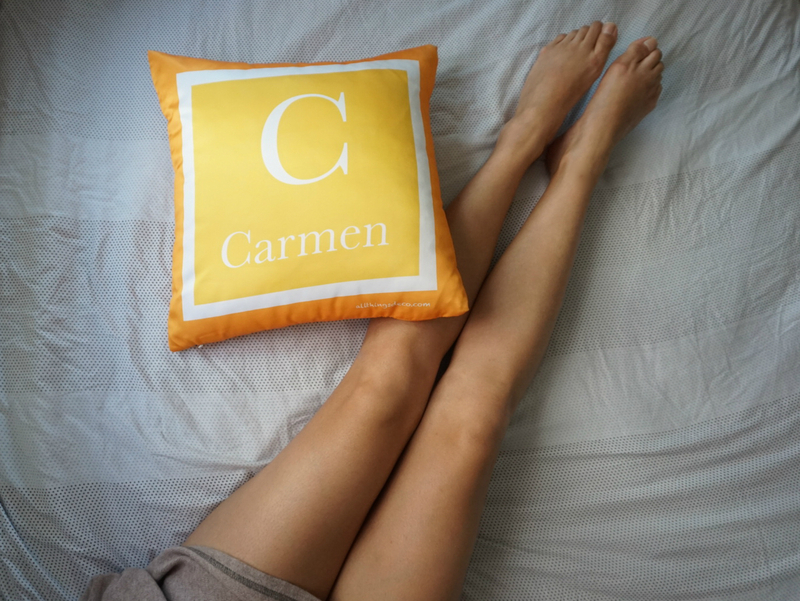 My top tip: Now, don't think that you must customise the pillow with your name: check out ATD's instagram account for inspiration for all the various things that you can have printed on your pillow, including lovely his and hers pillows! 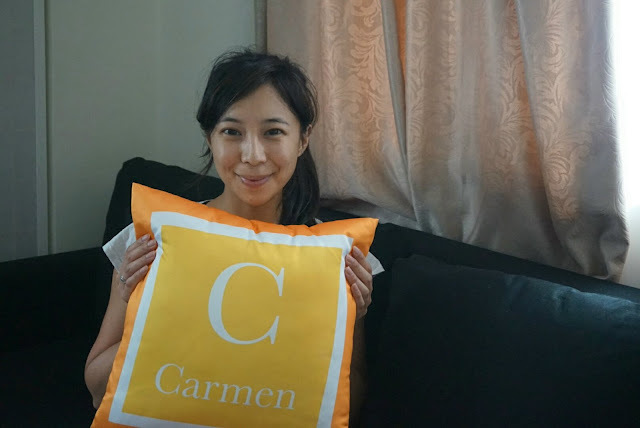 We were gifted our very own cushions in celebration of ATD's official launch in Hong Kong on 1 July 2015 - thanks Noelle and the ATD team!